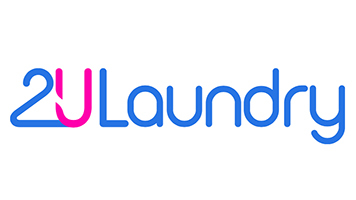 2ULaundry is growing rapidly since launching in 2016. We have raised over $4.8M in funding, was voted Startup of the Year in Charlotte, Best B2C Startup in Atlanta and is an alumnus of the globally recognized Techstars Accelerator program. We’re a collaborative, transparent and scrappy team across marketing, operations, customer care, HR, data, finance and engineering, with offices in Charlotte, NC and Atlanta, GA. The Head of Software Engineering, reporting to the CEO, is responsible for implementing the company’s technical vision, technical roadmap and leads all aspects of the company‘s technology development. 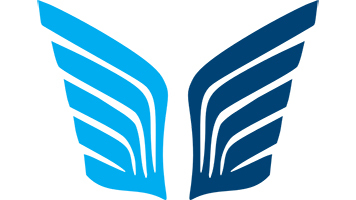 This position is responsible for maintaining existing systems while providing direction in all technology-related issues in support of operations. Finally, the Head of Engineering contributes to the company’s strategic direction, development and future growth, positioning the company’s service offering as a leader in the convenience economy. You are a great candidate if you have successfully architected solutions for web apps, 3rd-party integration points, APIs and internal management systems. As a crucial member of the 2ULaundry senior management team, you will work on a diverse group of tasks critical to 2ULaundry’s growth as our fast-paced business scales and evolves. You will be responsible for managing our oversees engineering team as they work on projects spanning our stack. • Manage a growing offshore team of front-end, back-end and mobile software engineers. You will be tasked with planning, management, execution and implementation of site/software projects, inclusive of the day-to-day project management, scope management, issue and risk management, as well as regular status reporting. • Meet with department heads across marketing, finance, operations, customer care and human resources to understand needs for existing capabilities, new capabilities and to understand integration points and limitations. • Own the development backlog and understand priorities from other departments on when to slot new initiatives. You will be a business partner and strategist for other departments in regards to explaining feasibility, cost and timeline. • 3+ years experience managing offshore/remote, startup engineering teams. • Proficiency with MySQL and database design/architecture. • Experience developing accessible technologies and integrating 3rd party software across business lines. • Nice to have: Software development experience in one or more general purpose programming languages including Python, React, NodeJS, iOS/Android Languages. • Competitive compensation including very early stock options. • Benefits package including medical, dental and vision insurance. • Open Vacation Policy. Rest when you need it, rock when you don’t. • Heavily discounted laundry and dry cleaning (now who doesn’t love that?!). • A high-caliber team and tight-knit, collaborative work environment. Our customers trust 2ULaundry with their most treasured items because of our unwavering commitment to the perfect customer experience and our obsessive passion for quality. Behind the scenes? We come to work happy because magical moments can only be created by magical people. We always have our customer experience in mind as we continue to grow our business and we take our employees experience just as seriously. We make sure our team members have the runway for growth, the feedback and transparency needed to continuously evolve in their professional development and the support needed to do incredible work.